Live Work Office Apartment. 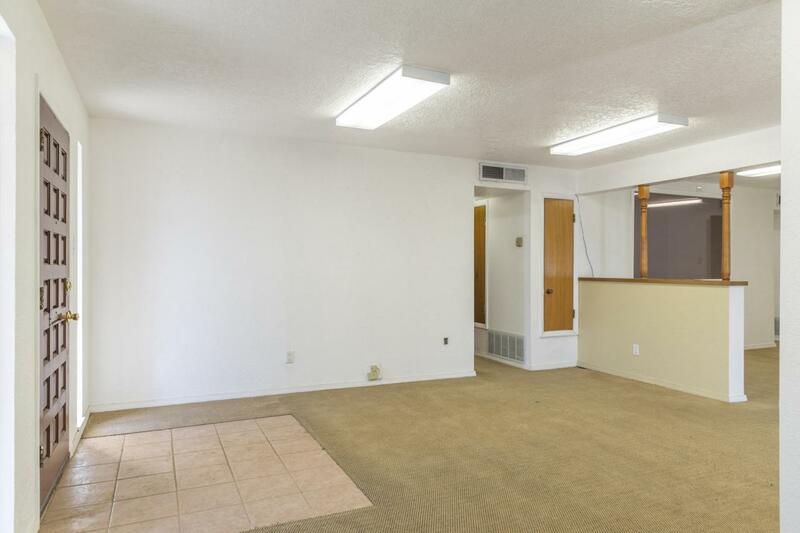 Very nice 2-Bedroom / One-Bath 1148 Sqft Apartment upstairs, with a 1831 Sqft office space on the main floor. The office space is set up for 3 offices. Each has office has gas and electric meters. Currently all three offices are open to each other, would be easy to reinstall walls for separate offices. Would be a great place for a small real estate office, insurance office, medical office or yoga studio, etc. The owner is willing to carry paper and or trade his equity. Call listing agent for details. *2,979 sf*2-BEDROOM, 1-3/4 BATH APARTMENT UPSTAIRS (1,148 SF)*3 OFFICES DOWNSTAIRS - VACANT (610 SF EACH)*CORNER LOT*INVEST OR OWNER OCCUPIED*ZONED MXL*SPEARATELY METEREDGREAT SIGNAGE! Listing courtesy of Re/Max Exclusive. © 2019 Southwest Multiple Listing Service, Inc.